Is Mourinho On His Way Out the Door? Jose Mourinho has the type of football resume that any coach would kill for. He has successfully lead his squad to the league championship in three different countries (Portugal, England, Spain) and the man quite simply knows how to motivate. Mourinho has needed no time turning team’s fortunes into gold. Take Inter for example. The coach has yet to manage the team to a season they haven’t won in Serie A. Sure he’s only been there for a year, but look at the experience before that at Chelsea. It was the last time that Manchester United didn’t run the board. 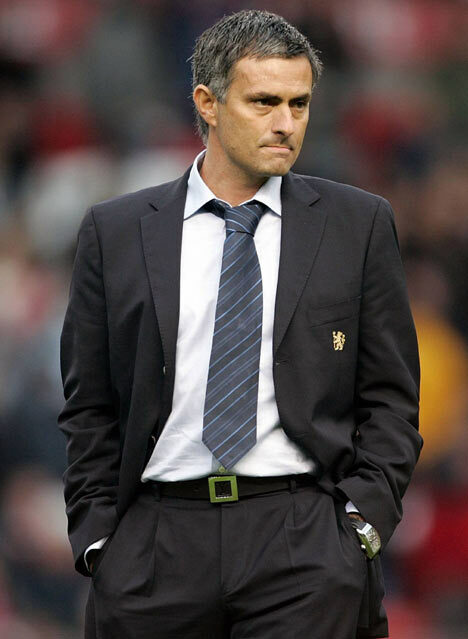 Mourninho won back-to-back Premier League titles and also enjoyed two Carling Cups and the FA Cup as well. So when Mourninho puts his mind to the task he truly has the Midas touch. Clearly it is unrealistic to expect to stay at a club as long as Sir Alex, but I am ready for the next phase of my career. I want to work with a different perspective. Many link Mourinho with a potential move to Old Trafford down the road when Fergie retires, but for now it seems like the Premiership will simply be something that continually weighs on the returning champions manager’s mind.